"...the characters fiercely try to regain control when absolutely everything seems out of their hands..."
"This is a person I know I can trust with a piece of my heart..."
What was the inspiration for your play VISITING HOURS? Joshua Kaplan: My mother passed away last summer. 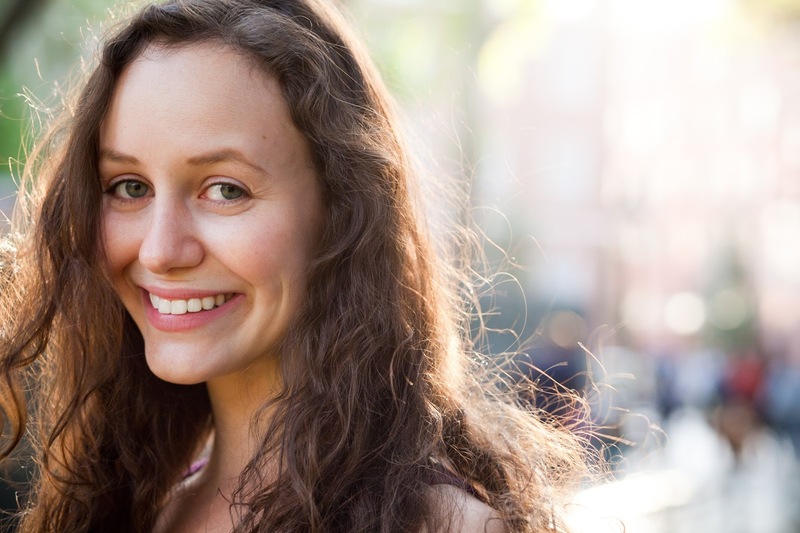 I was very close to her, but our relationship was hugely challenging for many reasons that have kept multiple therapists in business for decades. A friend suggested I try writing a play about her passing. I resisted at first, it felt too fresh, but then realized the freshness actually weighed in the other direction, that the memories and poignancy would only fade over time. But this isn't an "autobiographical" play. I tend to find autobiographical plays somewhat forced and one-sided -- everybody wants to be the hero of their own story. Though it was inspired by my mother's passing and some of the dynamics in my family (as I perceive them, at least), as I got further into the script, the story and characters evolved in unexpected directions. They always do, of course, but when the inspiration starts with something so close to home, it's even more fascinating where the imagination takes you. January, and I knew immediately that this was something I didn't want to hear read around a table for time immemorial. Development is a necessary part of the theatrical process of course, but sometimes it feels like plays get bogged down in readings and workshops and never shared with an audience in the manner in which they were intended. I didn't want that for this play. JK: Dina can speak to this too, but it was pretty simple -- a mutual friend at Playwrights Horizons put us in touch, and it took off from there. I was immediately struck by Dina's dedication and the purity of her devotion to the craft. I thought, this is a person I know I can trust with a piece of my heart, which is what this play -- more than anything else I've written -- represents to me. Dina Vovsi: I was recommended to Josh by a director friend of mine who wasn't available. We had a really fruitful hour-long phone conversation, and the play was originally supposed to be part of a festival where we would have gotten much less tech time and control over what we wanted to do. After the festival dealt us really unfortunate performance times, we decided that an independent production would suit the play and process much more productively. Dina, what specifically interested or challenged you about the play? Why did you want to direct it? What has been the process been like for you? DV: I experienced some trying times this year that put loss and grief in focus for me, and also really proved to me that people deal with those massive emotions in very different ways. What interested me most about Josh's play was the way in which the characters fiercely try to regain control when absolutely everything seems out of their hands, and how they do so with a great deal of humor and heart. The greatest challenge about this play is that it can very easily slip into the trap of getting too morose too quickly, and the playfulness and wit and bite really need to propel the story forward, so I began the process with the mission of trying to keep that fast-paced humor at the forefront. My designers (Frankie Oliva, Jason Fok, and Emma Wilk) have been dream collaborators and are turning TheaterLab, which is a pretty raw and flexible white-box space, into an environment that highlights the sterility and discomfort of a hospital, while also providing functional elements that the characters have a great deal of control over - curtains to open and close, lights to turn on and off, and chairs to create a bed out of. These people are stuck here for almost 48 hours, so it's been really fun to figure out how each of them "lives" in the space. And the cast has been wonderfully collaborative - some of these characters are wrestling with deep-seated resentment toward each other and are covering up many layers of pain, so a certain level of trust and openness has to be there to be able to dig those out in a believable and compelling way. Josh, what has the process been like for you? How has it been to produce and as well as be the playwright? JK: It's been very challenging to do both, to be honest. Writing is in my DNA. Whenever Dina sends me script notes, my heart jumps with a little excitement. I love the process of revision and editing. I'm an odd duck that way -- prior to my last reading, my director told me, maybe an hour before the reading, "this scene isn't working, it's way too long." So I took the hour before the reading to make massive cuts to the scene, and of course, the director was right. The scene read far better. It might be the former lawyer in me -- I was a lawyer in a past life -- but I love hacking my own work to pieces and rebuilding it into something better. On the other hand, producing is not something that comes naturally to me. Maybe it doesn't come naturally to anyone, maybe it's a learned skill like so many others. But as a first-time producer, it's been a challenge to navigate all the twists and turns of mounting a production. Little things like, how do I list Equity actors, or where do I get posters made, things that seasoned producers know how to do I've had to learn for the first time. I've been fortunate to have an amazing creative team, assembled by Dina, and that's made my producing job much easier. But I'm constantly worried about whether I'm doing a good job as a producer, especially since my day job has kept me away from NYC for the rehearsal period. I don't worry the same way about being a playwright. I feel like I am a playwright, playing the role of a producer, and it's opening night and I still don't know my lines. I feel like that every day. How do you organize your time? Do you have a day job and a writing schedule? JK: I do have a day job, multiple ones actually. Mostly I tutor, and I also teach yoga on the side. I consider myself extremely lucky in that, unlike many people in this field, I really enjoy my day jobs. It's not like I go to my day jobs thinking, god, I can't wait to be done with this. I don't know if I could sustain that kind of life. I need to feel like I'm filling some version of my place in the universe no matter what I'm doing. That's why I got out of law, because it didn't feel like me. Tutoring and teaching yoga both feel like they come from a sincere part of myself. Writing taps into a different part, and in some ways a deeper part, but that doesn't make the other parts any less valuable. I write mostly at night, after I've gotten everything else I needed to do in my day done. That's probably not the best way to organize a writing schedule, but as hard as I've tried I can't seem to change it. God help the person who tries to get me out of bed before 9am. It's like that scene in the Exorcist, less pea soup, more growling. DV: Oh man, well, still trying to figure out that one! Scheduling is a beast and in order to really commit to building a career as a director, you learn to juggle various projects with your "money" job and work in time for fellowship applications, seeing shows, and hopefully every now and then, time for yourself. With this show, after rehearsals I often have to sift through my notes and questions for designers and also script questions and ideas for Josh. Half the time, I'm running to work right after and have to just table the chaos in my brain for the rest of the day and trust that I've written down enough to be able to articulate it later. I've worked a myriad of "money" jobs, from serving in bars and restaurants to being a freelance producer for a while to marketing or development work at nonprofit theaters and arts organizations. I've settled at a boutique hotel part-time that has been magically flexible with my schedule and worked around me being unavailable for long periods of time. For a long time I struggled with whether I needed my "money" job to be in the theater or not, but I eventually found that when I wasn't as creatively fulfilled, I tended to accept those types of arts admin jobs much more freely, and when I was actively directing, I was quite content being able to have a job I didn't have to take home with me at the end of the day. I try very hard to work in days off where I put an automatic vacation response on my e-mail, but half the time I don't follow my own rules and still end up spending hours making sure everything is perfect. It's not healthy, I often go 30+ days without a day off, and I'm certainly trying to change that, but there are certain opportunities I can't turn down and also, I have to pay my rent. Josh, tips for writers just starting out? JK: Since on some levels I myself am just starting out -- I'm entering my first year as an MFA Screenwriting student at USC this August -- any advice I give should be taken with a pound of salt (I find most advice should be taken with a pound of salt, actually). Maybe the best advice I can give is, find yourself a champion of your work. I've had the amazing fortune of connecting and working with the legendary Estelle Parsons, who has been my greatest supporter and friend in this equal-parts fantastic, equal-parts grueling, business. Her belief in me has kept me going through some very dark times. Your champion can be anyone. Partners, parents, friends, professors. Just find someone who has so much confidence in you, you can't help but have a little in yourself. Dina, tips for new directors? DV: I really think of all the theatrical careers one could have, directing has the least clear path of all of them. I think there's a lot of following your instincts and choosing what's right for you - grad school, or assisting, or self-producing, or all three or none - mostly it comes down to practice and relationships. You can't call yourself a director if you're not directing. And you also can't call yourself a director if you're only assistant directing. I assistant direct because it gives me the opportunity to work on much bigger-budget shows so that hopefully when those kind of resources are offered to me, I know what to do with them, but you have to constantly work your directing muscles, and assisting doesn't count. You need to find collaborators to create work with, and a lot of that is trial and error. A lot of it is saying yes to a lot of unpaid work for a while, is directing a lot of 10-minute plays where you end up in many rehearsal rooms with strangers who you may or may not click with (Michael Grew, who plays Jonah, was one of those strangers many years ago, and now I've worked with him more times than I can count), is making friends with assistant designers when you're ADing (like Jason Fok) and is about showing up and sticking around at various institutions and supporting other artists' work and having intelligent conversations about it with them and applying for every possible fellowship or opportunity and using whatever space that's accessible to you to create in. It's learning from the other theater you see and love and hate. It's about building a certain reputation for yourself by being kind to people, having a strong voice and a great deal of curiosity and willingness to take risks. Down the road, it also becomes about knowing when to cut strings and say goodbye to projects or relationships when it's the right time. 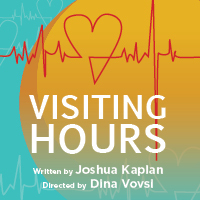 VISITING HOURS runs from Thursday July 28th thru Sunday July 31st at TheaterLab located at 357 W 36th Street in NYC. You can get more info and purchase tickets here.